For anglers looking for a delightful beat to visit and fish, Headinch and Cambus O'May has much to offer. 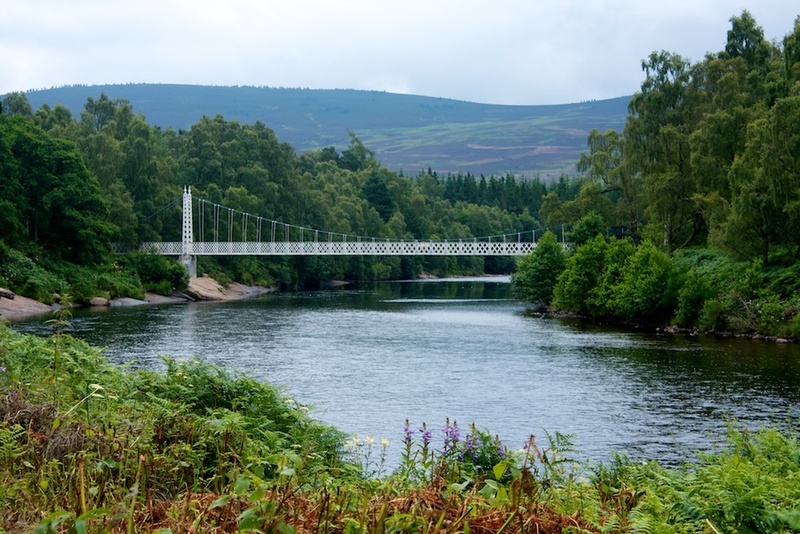 Situated just a few miles downstream from Balmoral, this attractive beat has a rare River Dee characteristic. It has over two miles of double bank fishing, which of course gives a party of anglers a considerable choice of pools and the ability to fish any one of them whenever they wish. The beat produces salmon and sea trout throughout the fishing season from the beginning of March through until the end of September. The 21 named pools are all very different in character and hold fish at varying water levels. The majority of pools are best waded, though there are opportunities to fish some pools from the riverbank. With the dramatic background of the Cairngorm Mountains, the scenery is stunning and there is always a lot of interesting bird life, flora and fauna to be seen. View from the Ministers pool to the Cambus O'May footbridge. The best pools will depend very much on water levels. In high water, the Long Pool and the Holly Bush will perhaps be amongst the top choices. The Tassachd pool, favoured by the famous salmon angling author the late John Ashley Cooper, fishes well from both banks at a range of heights. Glashan is arguably one of the prettiest pools on the Dee as is the delightful Clarach and these two both favour lower water levels. Successful flies for the Dee include Willie Gunn tubes; Dee Monkeys, Tosh, Silver Stoats tail, Park Shrimp, Calvin's Shrimp. Typically anglers will fish with 14 or 15 foot fly rods in the spring and 12-13 ft fly rods in the summer using lighter lines. There is vehicular access to a number of pools using forestry and farm roads. The condition of these tracks can vary, depending on use and weather conditions, and fishers are advised to use 4x4 vehicles. The Estate takes no responsibility for damage to vehicles as a result of the condition of these tracks. The beat has a number of fishing huts with log burning stoves and there are two large, modern huts which also have tables and chairs that are popular places to lunch. Fishing can be taken weekly, from Monday to Saturday, or on a daily basis. During the Spring period, to the end of June, the beat is let to 4 rods. 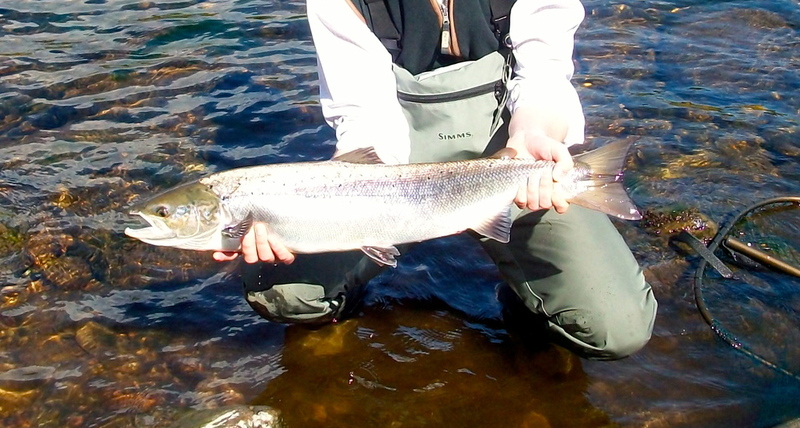 From the beginning of July until 30th September, the Summer period, the beat is let to 3 rods. In accordance with Dee policy, the Estate allows fly fishing only and all fish caught are returned immediately to the river. Throughout the season, a ghillie is available from 9.00 AM to 5.00 PM to provide fishers with a professional and friendly service and ensure that river and Estate policies are followed. He will help fishers plan their day, advise on the height of water and the location and suitability of pools. He will also be happy to point out popular fish lies, help in the choice of flies and lines and, should it be requested, give guidance on fishing techniques. Self-catering accommodation is available on the estate. Birkelunn is a comfortable traditional Norwegian house, with modern facilities, situated within walking distance from the beat which sleeps up to 11 persons. The Estate is currently upgrading Braehead, a traditional stone built house situated immediately above the Long pool. This house will sleep up to 6 (with additional children’s rooms) and be available for rent in 2014.